Lachlan Coote says he couldn't wait to get out of North Queensland following a miserable 2018 as his former NRL club hunt for a replacement for Ben Barba. 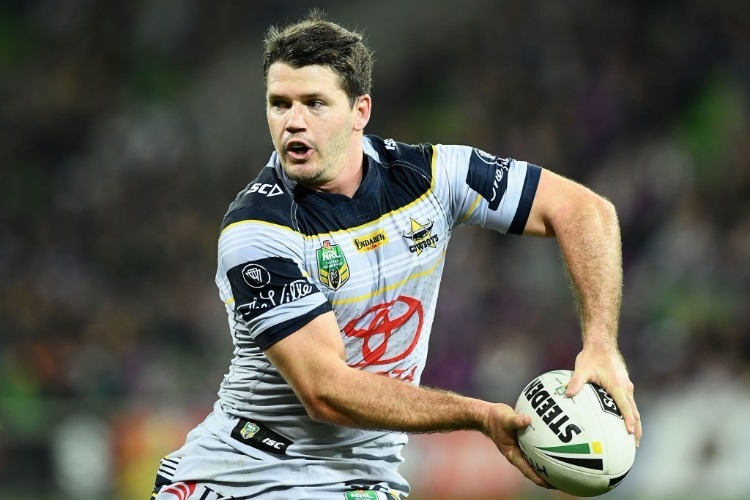 North Queensland are on the lookout for a new fullback after sacking Ben Barba, but Lachlan Coote, the man the Cowboys released to sign him, admits he's glad he got out. Coote spent five seasons in Townsville after signing from Penrith and was part of the club's maiden premiership success in 2015. But the 28-year-old was more than ready for a fresh start after a miserable 2018 campaign, blighted by his own injuries, the team's poor form and a huge bust-up with coach Paul Green. Coote left Townsville at the end of last season for Super League club St Helens, effectively swapping jobs with Barba, who's now banned from the NRL for life after his alleged physical altercation with his partner. Twelve months ago the Cowboys were viewed by many as premiership favourites in what was Johnathan Thurston's final season but despite their glittering roster, the team could only finish 13th on the ladder. "It was tough," Coote told AAP. "With the squad that we had we definitely didn't deserve to go out the way we did. "It was very disappointing to finish a year, or an era, like that the way we did. "To see 'Johnno' in his last year not make the semi-finals was a bit disappointing. "But that's just the way things go. It's not always a fairytale ending." Coote only made nine NRL appearances last season as he battled a hamstring injury and upon his return he was dropped with Green favouring Queensland five-eighth Michael Morgan as fullback. After making his feelings known to Green he was not offered a new contract but Coote said swapping the tropics for the cold of northwest England came as a relief. "And then with the injuries ... so it's been good to come up over here and freshen up with a new start. I was happy to get out of there." Coote debuted for St Helens in their round one 22-12 victory over Super League premiers Wigan last week and made an immediate impact. The fullback made 83 metres from 13 carries and one tackle bust in the 10-point win.